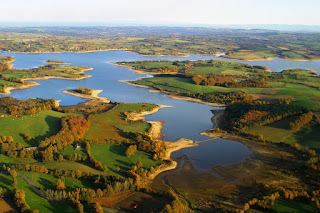 The magnificent 1,000 hectare Lac de Vassivière is a beautiful public water central France. In 1950 a dam was constructed creating the immense Vassivière Lake, which is known as a difficult water with a record carp of 30 kg. The average catch weight for carp is about 10 kilograms. The Vassivière Lake offers everything you could want as a carp angler. A beautiful setting, peace and the probability of large carp. However the huge Lac de Vassivière is known as a difficult carp fishing water with many sessions without even a single bite. Right in the middle of the Lake is a large island with a size of about 70 hectares. By zooming in on the map of France shown below you can check the details of the exact location (right on the map, the blue dot to the left of Clermont-Ferrand). 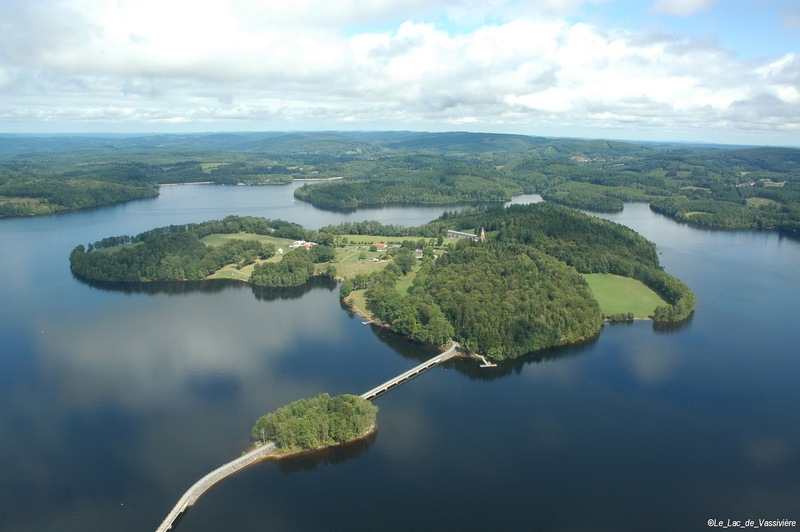 Although little recent catch info is known for Lac de Vassivière, we know a lot about the Lac de Vassivière on the basis of catches over the years. The average catch weight is around 10 kg, with the absolute record a mirror carp of 29 kg. Lac de Vassivière is also known for its large pike and bream. Regularly there are pike catches of more of one meter reported on the lake. The Vassivière Lake, located near the Massif Central in France at an altitude of 650 meters, is a tricky water with a maximum depth of 35 meters. One of the difficulties are the many obstacles that lie under water, especially many old tree stumps. Night fishing is allowed like on many large public waters in France. The use of boats is also allowed, but the speed is limited to a maximum of twenty kilometers per hour. Especially for fishermen who take a boat out there on the south side of the lake, five places to allow boats to water are created (Port Crozat, Pierrefite, Nergout, Vauveix and Broussat). A boat is recommended to reach some of the best carp spots. Especially in the summer, when the Vassivière Lake is a popular holiday spot for many French people and tourists, a boat can bring you to spots to fish without being disturbed by swimming people. For fishing permits, please contact the local administrator (in France that called AAPPMA's), in this case 'La Maulde. Nowadays it is possible to buy your carp fishing permit for France via the internet directly a license for a particular region in France through www.cartedepeche.fr , similar to our regional sport fishing licenses. If you want a full year fishing permit for France, it will cost you about 92 euros. Alternatively, for more information on the lake go to the website of Lac de Vassivière. Watch a more recent YouTube video on the Lac de Vassivière below.